To help you spend your money sensibly and to enjoy your new hobby to the fullest, we’ve created a detailed guideline. By investing in these handy implements today, you’ll be able to garden efficiently and you’ll be ready to cultivate delicious organic veggies which are loaded with vital nutrients. By taking control of what you eat via organic gardening, you may enjoy pesticide-free veggies which are just as Mother Nature intended them to be. Read here about controlling weeds without chemicals. The best gardening tools don’t have to cost an arm and a leg. 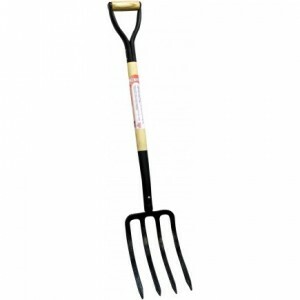 In fact, it’s possible to access impressive gardening accessories for very reasonable prices. When you choose a soil fork, you’ll find that you don’t need to spend a lot of cash in order to use this “ultimate gardening tool”. This all-purpose implement will allow you to prep brand-new soil beds, to turn over earth in your existing beds and to cultivate in between each row (while the growing season is in full swing). 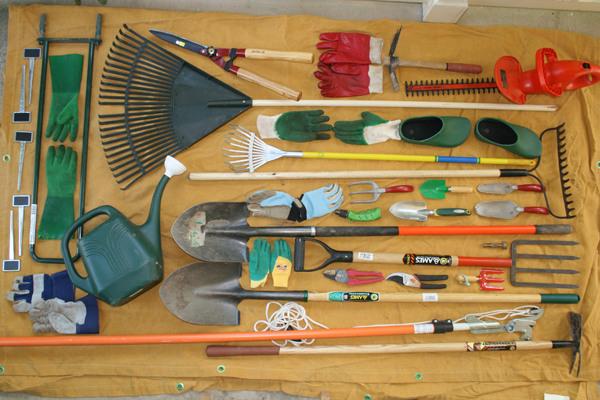 In addition, some people utilize these practical tools in order to turn composting material. Expect to pay ten to seventy-five dollars for this type of tool, depending on the brand that you select and how fancy you want your soil fork to be. You should seek out a sturdy design with a very comfortable handle, as you’ll be likely to use this tool all of the time. Since there are very inexpensive tools of this type available, they also make perfect gift ideas for other gardening aficionados. Organic gardening can be very relaxing – however, now and then, crouching down in order to perform certain tasks may be very uncomfortable. 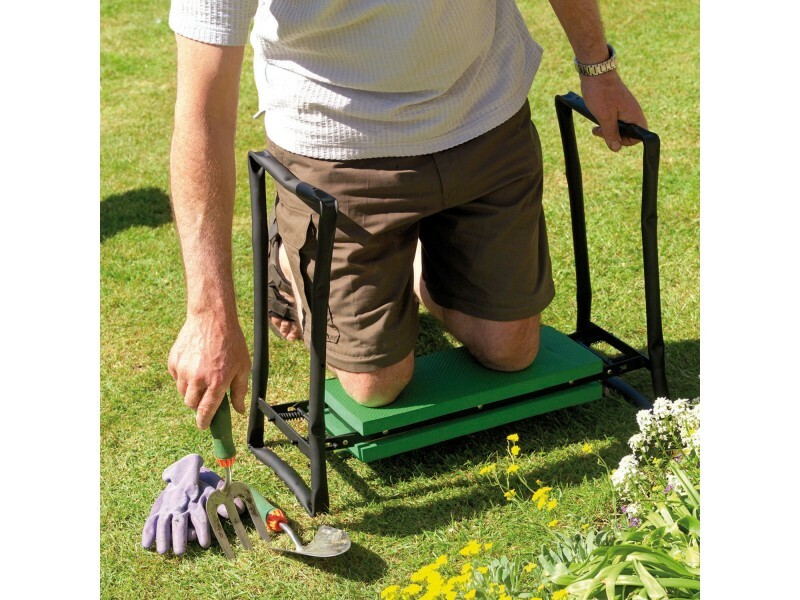 In particular, those who suffer from lower back pain or other sorts of aches and strains may benefit from investing in garden seats and kneelers which offer premium comfort. These clever garden accessories will allow gardeners to prevent most aches and pains which are related to bending over and crouching. You may find garden seats and kneelers at an array of garden supply stores. Like most tools and accessories which are featured here, these seats and kneelers will work for organic and non-organic styles of gardening. Typically, these designs retail for about thirty to fifty dollars and most are crafted with convenient, fold-able features which guarantee easy portability and storage. In particular, plastic designs should be sturdy, safe and dependable, without costing too much money. Lots of people head out to do their pruning with only a basic pair of scissors at their sides. Typical scissors really aren’t the best choices for this type of activity, as they don’t have the strength and durability of pruning shears. In addition, they don’t have big, strong handles to hold onto, as pruning shears do. 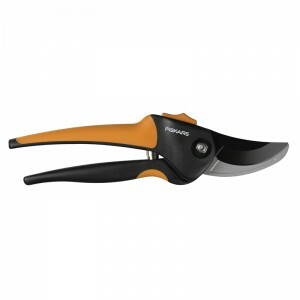 Therefore, in order to enhance performance and safety, aspiring gardeners should invest in authentic pruning shears which cut through even the thickest stems, almost effortlessly. While these designs will vary in quality, most mid-range or high-end pruning shears should offer comfortable handles and the most rugged materials. Look for designs with stainless steel blades. You should be able to find these useful garden implements at this web-page: http://www.bunnings.com.au/our-range/garden/garden-tools and at most department stores and garden supply stores. In addition, you’ll be able to order them online from an assortment of online retailers. Prices vary, so look for pruning shears that fit your price range. Those who are on budgets should be able to find these designs for about twenty dollars. Of course, higher-end versions will also be out there in the marketplace. Like any new hobby, gardening requires a little practice. Luckily, there are so many great ways to learn how to use garden tools for the purpose of growing organic herbs, veggies and what have you. Thanks to the power of the World Wide Web, it’s possible to access free instructional videos on YouTube, as well as at a host of blogs which detail the best ways to use organic gardening tools, such as the three implements that we’ve discussed here today. 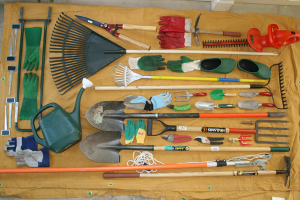 In addition, your local library should feature a plethora of books about gardening, many of which will feature photographs of commonly-used garden tools, along with tips on how to use them effectively. It’s important to consider safety when using pruning shears and other sharp garden tools. It’s also important to keep them away from children and pets when they aren’t in usage. Once you’ve learned how to use, maintain and store your new organic garden tools, you’ll begin to master the fundamentals of organic gardening. Is Organic Gardening Right for You? Organic gardening is perfect for those who are environmentally-conscious and concerned about what they put into their own bodies. After all, these days, the commercial and non-organic food supply is contaminated with a host of lab-created pesticides, hormones and genetically-modified elements. Those who prefer a clean diet that is free of these potentially-harmful additives will be excellent candidates for organic gardening. For further insight, read the article on Understanding Organic Gardening. This is most natural form of gardening. However, it’s not the most carefree. You will need to devote yourself to your garden, whether it is large or small. By maintaining your garden and learning more about how to grow organic plants, vegetables and herbs, you’ll be one step closer to getting the great results that you really deserve. Once your vegetables, herbs and plants have reached maturity, you may enjoy fresh, local cuisine that you’ve grown yourself, from crisp and nutrient-dense summer salads and soups to appetizers and beyond. Whether you want to grow organic strawberries, tomatoes or other any fresh foods, you’ll find that owning the right organic gardening tools will be the key to gardening success. So, why not purchase our recommended tools today?